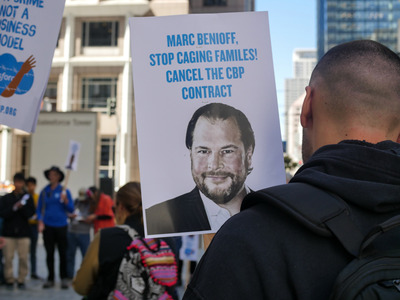 Greg Sandoval/Business Insider.Tyler Breisacher, a former Google software developer, quit his job in 2018 as part of a protest against the company’s ties to the US military. Tyler Breisacher quit his job as a Google software developer in April in part to protest Google’s collaboration with the US military on analysing drone video footage. When he decided to leave, he feared that he’d struggle to find a job comparable to the one he had left at Google. Breisacher told Business Insider his fears were unfounded. He’s landed a job where he’s having fun working for an employer that’s every bit as socially conscious as he is. Tyler Breisacher, a former Google software developer, has no regrets about the part he played in the unprecedented employee unrest at the company this year. In April, Google acknowledged that it had provided artificial-intelligence technology to the US military under a program called Project Maven . Thousands of employees voiced their opposition during all-hands meetings and by signing a petition that demanded the relationship with the Pentagon be terminated. In an unprecedented act for Google workers, about a dozen quit in protest–Breisacher among them. But Google’s reputation is hardly that of a gulag. The search company is well known for providing oodles of perks to employees as well as for valuing clean energy, the free flow of information, and diversity. Can any worker realistically expect to find a profit-driven employer that offers as much in compensation and is as socially conscious? 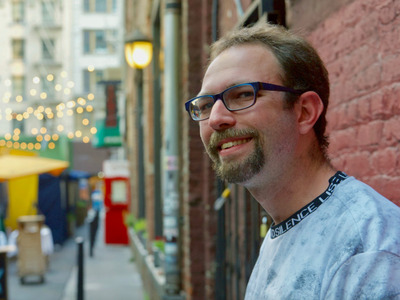 Breisacher said that he’s had a “rewarding experience” since beginning work in May for Hustle, the San Francisco, CA-based test-message platform that enables groups to communicate back-and-forth on a large scale. The service is credited with helping the surprising run of Democratic presidential candidate Bernie Sanders in 2016. According to the company’s web site, other clients include Live Nation, Planned Parenthood and The Sierra Club. In the United States at one time, labour movements focused on negotiating better pay or safer working conditions. But Breisacher is one of what appears to be a growing number of workers in the technology sector who want managers to operate their companies along certain ethical lines. They want to know that they work for a company that isn’t harming people or the planet. The impacts of this trend in technology are being felt more every day. Following the employee protest at Google, managers there appeared to yield to worker demands and they issued a set of principles that included a promise never to build AI-enhanced weapons. The protest’s apparent success seemed to give rise to similar protests atAmazon,MicrosoftandSalesforce. On Tuesday, Buzzfeed reported that “a handful of tech workers” have claimed on Twitter that they’re passing up interviews with companies, such as Amazon and Salesforce, because they disagree with those companies’ business practices. A new twist is that not all the protests are coming from employees with politically liberal views. A group of about 100 politically conservative Facebook employees on Tuesdayformed a new groupto protest what it claimed was intolerance inside the company to anything but liberal political views. Where this is all going is anybody’s guess. Beyond Google, employee protests at other companies have yet to generate much change. Even at Google, it’s hard to determine how united employees are and how much power they possess over the long term. A new protest building inside Google over management’s plans to create aChinese search app that complies with Beijing censorship rules, doesn’t appear to have the same momentum as the military controversy. For example, we’ve yet to hear about any organised, group resignations over the China plans, which are still not finalised. That doesn’t phase Breisacher. He said quitting a high-paying job is not an easy decision for anyone, but it doesn’t change the fact that many people in tech want to be part of positive change in society.